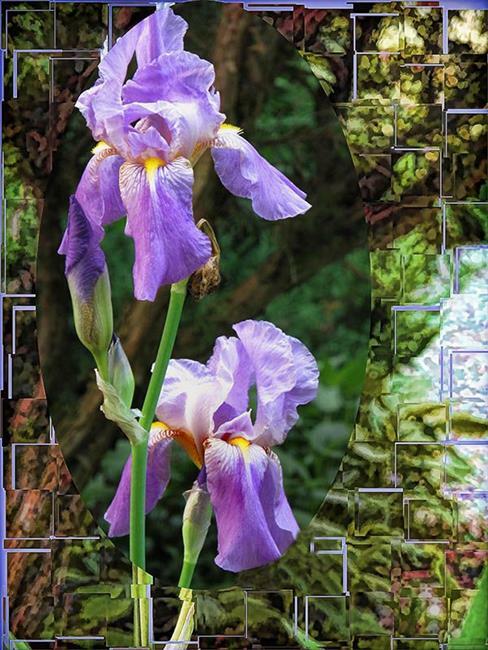 I was visiting a friend in the Spring and she had the loveliest pair of Iris I have ever seen. They just begged to be photographed...so I did! I then downloaded them to the computer and worked on them in Photoshop, adding the squares and balancing the colors. I was pleased with the result and have entered them in the Iris Show, 2013.